Stiffer core/tighter fit offers less lost motion, but is harder to move. With longer and more complex runs, cable movement becomes progressively more difficult. More flexible core/looser fit has an easier feel, but has more lost motion. This approach leads to an overall sloppy feel, RPM variation or difficult gear engagement. 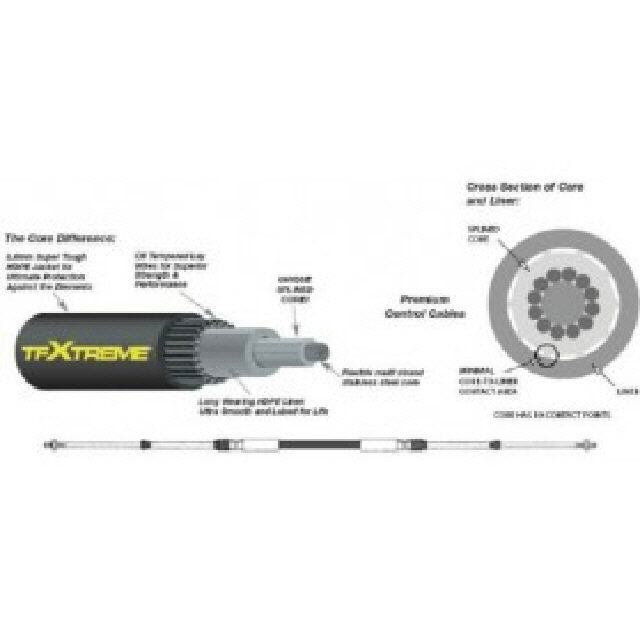 TFXTREME’S unique design incorporates a patent-pending splined core. Ridges on the core allow a close fit with the cable’s inner liner, but with minimum contact, so the core glides back and forth smoothly like a skater on ice.